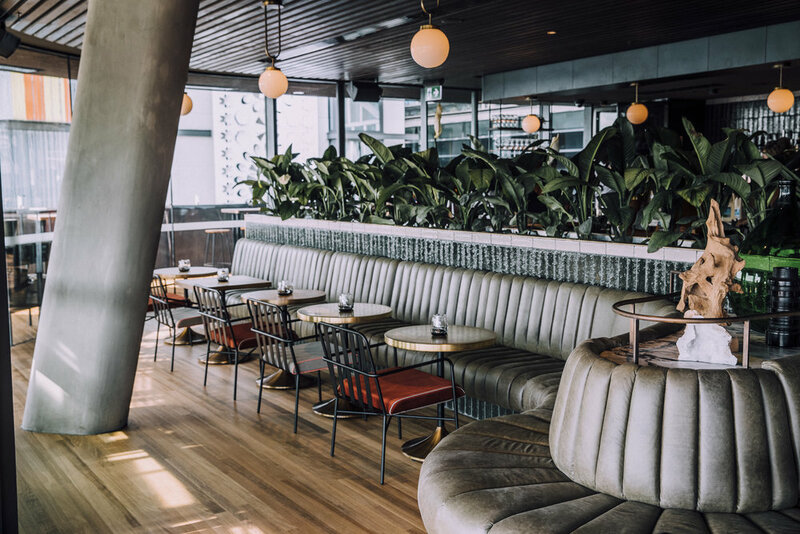 Three years in the making, Matt Moran and the Solotel Group’s three-level hospitality venue, Barangaroo House, opens its doors today. The breath-taking, award-winning building on Barangaroo Avenue promises to be this summer’s most sought after waterfront destination, with a range of exciting eating and drinking experiences spread across the levels, all with sweeping water views. Head chef, Cory Campbell (formerly Vue de Monde and Noma) has created three fun and different menus across each level, House, Bea and Smoke. Sommelier, John Paul Wilkinson (ex-Rockpool Bar & Grill), has assembled extensive and exciting wine lists for all three levels of Barangaroo House. “Barangaroo House is looking beautiful, the food is tasting incredible, and the drinks are impressive. The team have worked so hard to get us to this point and it’s so exciting to be opening the doors today. We’re ready and I can’t wait to see everyone down here, enjoying Barangaroo House,” says Moran. A sophisticated rooftop bar with unparalleled harbour and city skyline views, capacity for 250 people, and an impressive 400-bin, Champagne focused wine list and a cocktail list of over 40 unique creations. Smoke’s menu includes tasting plates of caviar; tinned white anchovies; fried smoked brisket doughnuts; spiced, crisp chicken skin skewers; and a sea urchin and orange jam toastie. Smoke will open tomorrow, Saturday 16 December from midday. Bookings accepted for groups of 10 or more. New Year’s Eve: Smoke will showcase front row views of the Harbour and fireworks, plus entertainment with DJs and live acts. The middle level showcases Bea, a 180+ seat restaurant set to redefine contemporary Australian cuisine. The Bea menu features the best of Australia’s produce, from seafood, to meat and vegetables, with a judicious use of native ingredients. Campbell has created generous dishes that work well for shared feasts, or a three-course meal, and will also offer an evolving ‘feed me’ menu, where his team will play around with new ingredients and ideas. Wilkinson’s wine list at Bea is as special as it is accessible, featuring wines from classic global wine regions, as well as iconic Australian producers. These will sit alongside wines from smaller regions and the next wave of exciting producers. There will also be a selection of biodynamic and natural wines. New Year’s Eve: Bea's elevated outlook showcases waterfront views of the fireworks this New Year’s Eve. Moran and Campbell have created a six-course menu for the occasion, showcasing the best local produce on offer. House Bar takes the ground level at Barangaroo House. The food reflects House Bar’s fun, cheerful and relaxed atmosphere, while the drinks are all about the summer months ahead – 12 beers on tap, cocktail pitchers and a tight wine list with a strong focus on rosé. House Bar’s menu is approachable with no dish over $30. There are buckets of fresh-cooked prawns served with bread and cocktail sauce, crisp fried fish, and chicken wings. Cory will also be roasting chicken and lamb over the spit daily, which will be served in warm pita, with two different salads (cumin and raisin slaw with the chicken, and mint and fennel with the lamb). New Year’s Eve: House Bar will be open on New Year’s Eve, trading as normal. Bookings are not required.